Parents of ALL contestants participating in this department MUST sign a waiver of liability. Trophies awarded to 1st and 2nd place winners in each age group. Standard tractor with two drive wheels will be supplied. Tractor is hitched to a special weight transfer sled. Sled has a weight box to which weights are added as needed. Competition by ages 3 through 10 years. Boys and Girls pull against each other by age. Winners of each class pulls the most weight the longest distance by pedaling tractor and weight slide plus weights, the longest distance. PARENTS OF CONTESTANTS MUST REGISTER AND SIGN A WAIVER OF LIABILITY FOR THEIR CHILD. 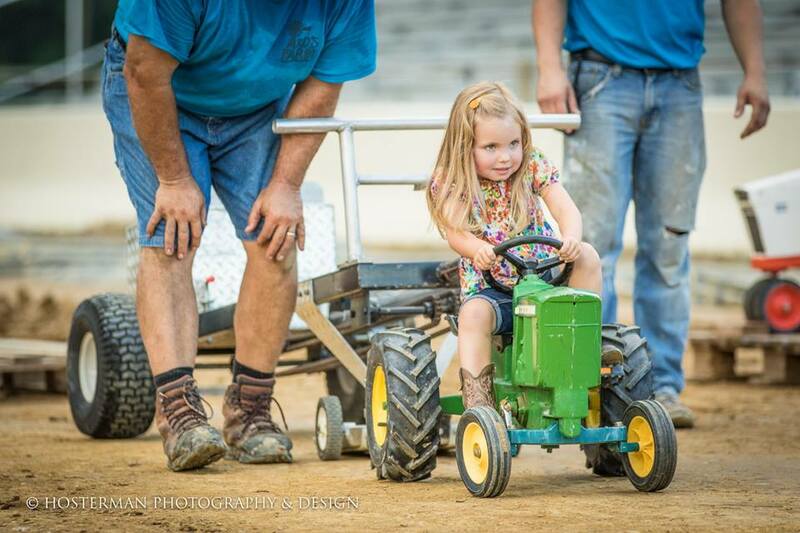 Only contest helpers, the puller and puller’s parents permitted on Track during pull. Photographers will also be permitted on Track, with the approval of the superintendent.